Part Number(s): A0X5134,TNP50K, TN-P50K. Konica Minolta Bizhub C3100P. For Use in the Following Compatible Machine Models. Important Information to know. Warranty and condition. 950638, 01SN. Part Number: 950638, 01SN. 7075 FORCE 75. Konica Minolta. KONICA 7075 DEVELOPER BLACK. Color: Black. Condition: Surplus - New, never used. It may have expired date codes, be missing the box, have shelf wear, tears, etc. 947540, 00VN. Part Number: 947540, 00VN. 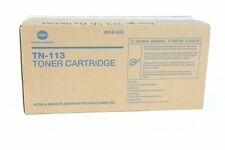 KONICA 4345 UPPER FUSER ROLLER. Konica Minolta. 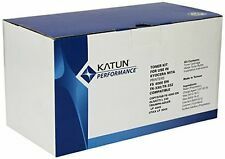 KONICA MINOLTA 3035 DRUM KATUN. Color: Black. Condition: Surplus - New, never used. It may have expired date codes, be missing the box, have shelf wear, tears, etc. Part#: 36704. 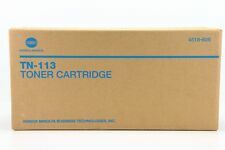 Compatible with: Kyocera Mita Printers;. -Waste Toner Bottle. Kit Contains Genuine Canon Parts will give a better result and better performance. It will also improve the durability of the device.